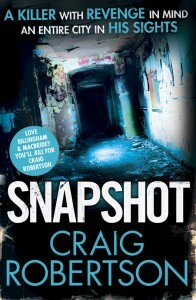 A series of high-profile shootings by a lone sniper leaves Glasgow terrorised and police photographer Tony Winter – a man with a tragic hidden past – mystified. Who is behind the executions of some of the most notorious drug lords in the city? As more shootings occur – including those of police officers – the authorities realise they have a vigilante on their hands. Meanwhile, Tony investigates a link between the victims and a schoolboy who has been badly beaten. Seemingly unconnected, they share a strange link. As Tony delves deeper, his quest for the truth and his search for the killer lead him down dark and dangerous paths.